If you have noticed that there are some trees around your home or on your property that no longer look their best or that the trees might pose a problem or danger for you, you want to act to do something about it rather than just let it go. You may have trees that were damaged in a storm or simply have become unhealthy or have died. In situations like this, you might be tempted to just try to take the tree down on your own to remove it, but there are downsides to trying this on your own. You are much better off using professional tree removal in Northridge for these efforts, so you know the job is done right. Tree removal, even for trees that you may think are small, is a very time-consuming effort for the average homeowner. There is a lot that goes into the effort for removal, including having the right equipment to take care of the job. You may find that removing a larger tree can take you many hours, or even days, and you still may not complete the job. Hiring a professional service will bring experts to your home that have experience with the work and the tools to do the job more efficiently and quickly. Getting professional tree removal in Northridge is much safer for you and your property. Hiring a service like ours here at Your Way Tree Service, Inc. will allow you to have your tree taken down and removed by professionals that know how to handle trees large and small. 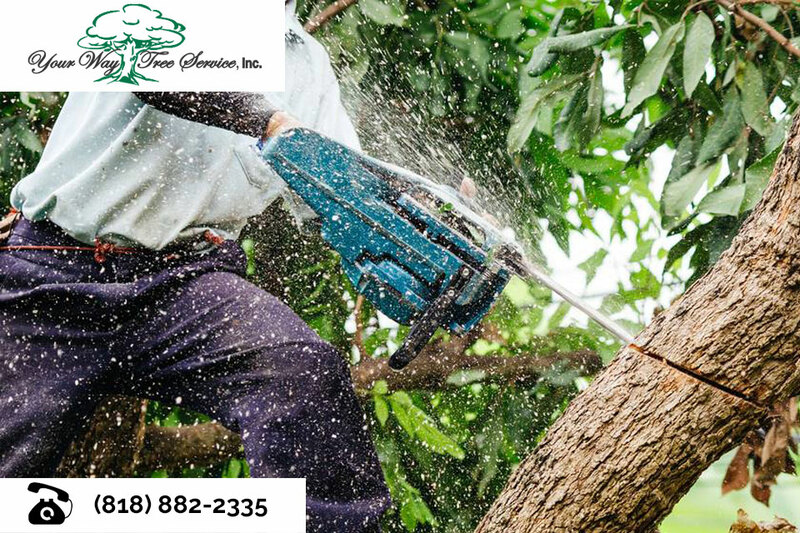 We can perform the tasks necessary and take the proper approaches to make sure the tree comes down without causing damage to your property or harming anyone in the process. The professional tree removal in Northridge you may need is just a call away for you. You can contact us here at Your Way Tree Service, Inc. by phoning 818-882-2335 so you can speak with a member of our staff, ask questions, and discuss the issues you are having with your trees. We can schedule a time to send out one of our tree experts to examine your trees, provide you with the best options for removal, and then set to work to remove the trees in question as quickly and safely as possible.